A young boy, perhaps eight to ten years of age, awakens in a dark forest. He runs forth, climbing and exploring, finding a small boat, searching for his sister. Then he steps on a metal trap, which promptly clamps onto his body and decapitates him. The camera lingers for an uncomfortable amount of time thereafter. It is at this point that you realize that LIMBO is going to be pretty brutal. 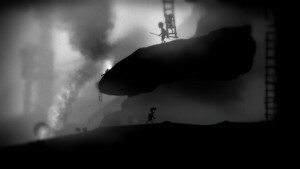 LIMBO is an atmospheric platformer made by indie developer Playdead back in 2010. It’s the kind of platformer in which lives are infinite and checkpoints are plenty because death is swift and nigh inevitable. You will die a lot while playing this game. In fact, there are some puzzles which are impossible to figure out without dying – you’d have to be lucky or cheating to pass them the first time. It’s just one of those games. It’s pretty brutal though, managing to be quite graphic and varied with its death sequences while only ever displaying the characters in one-tone silhouettes. If you’re completely put off by the idea of a silhouetted child being torn to shreds by buzz saws, you probably should just pass this one by, or watch a perfect run. Honestly, I wouldn’t have tried this game if SurpriseEnema hadn’t asked me to. For the purposes of this review, rest assured that my personal tastes regarding the insinuated graphic violence (which I find to sometimes be very effective as one’s mind fills in the blanks) hold no bearing, and any comments I make on the matter should be taken only as that – comments – and not factored into my review of the game as a whole. Such savage reactions would not be surprising if I were to review a game based on personal preferences. Alright, so what do we have here? First of all, the player character is seriously just a young boy, and thus has no incredible abilities. He runs at an average pace, doesn’t jump very high, can’t fall very far, and dies quite easily. The controls are really fine-tuned and organic, and they work exceptionally well to establish the setting. Placing these limitations on the player makes the game more interesting, and makes the character feel more real. At no point did I ever experience any difficulty with the controls, or with collision detection or other such glitches. So, in terms of programming, this is very, very well-polished. 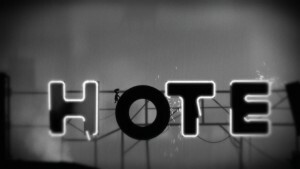 If you’re just looking for a solid 2D platformer, and you don’t mind if it doesn’t entirely break new and experimental grounds, and you’re cool with everything I’ve said about the game thus far in this article, go ahead and get LIMBO now; there’s nothing else that I need to say to you. For everyone else, or for the curious, read on. The jist of the game is that you’re constantly exploring, solving puzzles and generally moving from left to right across large environments. The traps and puzzles are all well-designed, and nothing really feels repetitive. You’ll see giant spiders attacking you several times in the forest area, but each time is different – maybe you have to trick it with a bear trap, or maybe it cocoons you and alters your movement capabilities for the next segment, or maybe you have to run away and send a boulder back toward it. Even the simplest things, like bear traps, are consistently utilized in fresh new ways. Sometimes it’s just a simple matter of swinging over them, while other times you’ll have to grab them and move them around, or dodge ones that are swinging toward you. This is seriously only one of the first dangers you’ll face. As for puzzles, a lot of them are straightforward, while others have more obscure solutions, but at no point does the game feel truly unfair. Sure, there are times when you may die a bunch of times before figuring out the solution, and there is at least one point at which I remember legitimately needing to die in order to find which switches to avoid, but this is simply the type of game this is. It’s not I Wanna Be The Guy levels of douchery. It’s more along the lines of games like Ogmo or Super Meat Boy (I haven’t actually played the latter, but from what I understand, it’s a similar formula). The difficulty is fairly reasonable, is what I’m saying. I mentioned this earlier, but the game doesn’t really break new ground in terms of gameplay. There are the typical platformer traps, such as spikes and water and buzz saws and periodically pulsing electrical platforms, and there are the typical types of puzzles such as pushing/pulling boxes or other objects, reversing gravity, forced movement, and activating switches. 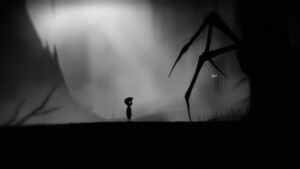 Still, at no point did LIMBO really feel stale to me. Maybe it’s the way it’s all presented, or maybe it’s the sheer variety that kept me on my toes, or maybe it has something to do with just how well-built this thing is. Whatever the case may be, it’s fun, and that’s really what matters here. This gruesome segment perfectly introduces the forced movement puzzles in the dark manner you’ll have come to expect by this point. 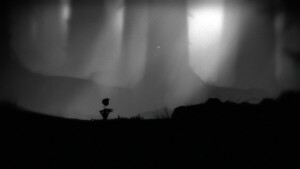 To top it all off, LIMBO is very aesthetically pleasing. Well, not so much the gore, even though it’s all in silhouettes. If I may derail for a bit, it was a little much for me at moments, though certainly not enough to make me stop playing. 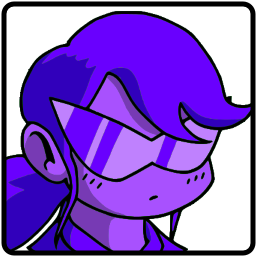 Sometimes the game felt unnecessarily… I don’t know, boyish? Though maybe that’s the point, given the protagonist. You’ll often find yourself having to trick hostile people into traps which slay them in a slew of different ways, or having to pull the legs off of spiders and other insects. There is seriously a lot of dismemberment in this game. One part particularly stands out in my mind; when I caught a ride on a flying insect and, despite having reached the upper platform, my character still held on until he ripped its leg off. Maybe he was trying to get it to fly him further, I don’t know. But this is all entirely subjective. Ultimately, in terms of graphics and sounds (music is restricted to a few brief segments), the game certainly delivers. It’s abstract yet somehow distinct. The environments, ranging from forests to cities to factories, somehow manage to seem distinctly different, despite all of them being cast in the same amount of shadow. Story-wise, LIMBO can be very shallow or it can be very deep. Aside from what is given in the official description of the game (a boy searching for his sister), the name “LIMBO“, the myriad of environments the character traverses, and the incredibly vague ending, the player is left to decide for him- or herself exactly what just happened. I actually really like this. If you look for discussions online (please don’t until you’ve finished the game), you’ll find explanations that are minimalistic and simple and entire articles describing detailed similarities to Dante’s Inferno. Fortunately, thus far, the creators have left it as open-ended as it was on its release date, so players can read as much or little into the depth of the game as they wish. The iconic hotel sign sequence, with its apparent significance, has become one point of debate. All legitimate points considered, LIMBO is a well-polished and entertaining game. It retreads old ground, but in a way that feels fun instead of boring or repetitive. The content may put some people off, but it’s not an actual problem with the game itself. In summation, this is a very solid product. 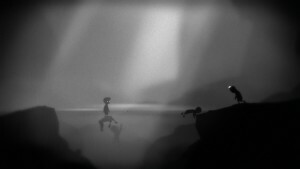 LIMBO is available on a bunch of different systems, which is very respectable – kudos for cross-platform support. I played it on the PlayStation 4, but you can also get it on a lot of other systems, including but not limited to those currently mentioned on the official site. If you don’t find your preferred system there, check the appropriate market, or just check the Wikipedia article for what appears to be a full list.